That is why we use quality millwork and hardware in the construction of our Alliance Door Systems. We have the ability to custom machine the frame components, headers, jamb legs, astragals, mulls, doors, sidelites and transoms to your specifications, making installation at the job site quick and worry-free. Each door system arrives at your building site packaged to help protect the door from dings and dents during the construction process. We also know that architectural design, placement, environment and exposure each present a different set of challenges. Our frame materials are designed to address each of these challenges and are the perfect complement to your door choice. We offer a solid Douglas Fir and Hemlock door system for staining or a primed frame for painting. The engineered jamb legs (solid wood edge-glued over finger-jointed solid wood) are dimensionally more stable than a one-piece jamb leg and resist twisting or bowing. This solid, low-maintenance option is durable and resistant to moisture, rot and insects. Test results show very little warping, expansion and splitting when installed properly. Made from wood fiber, wood plastic composites behave like real wood when manipulated. These woodgrain textured frame components can be machined, stained or painted. 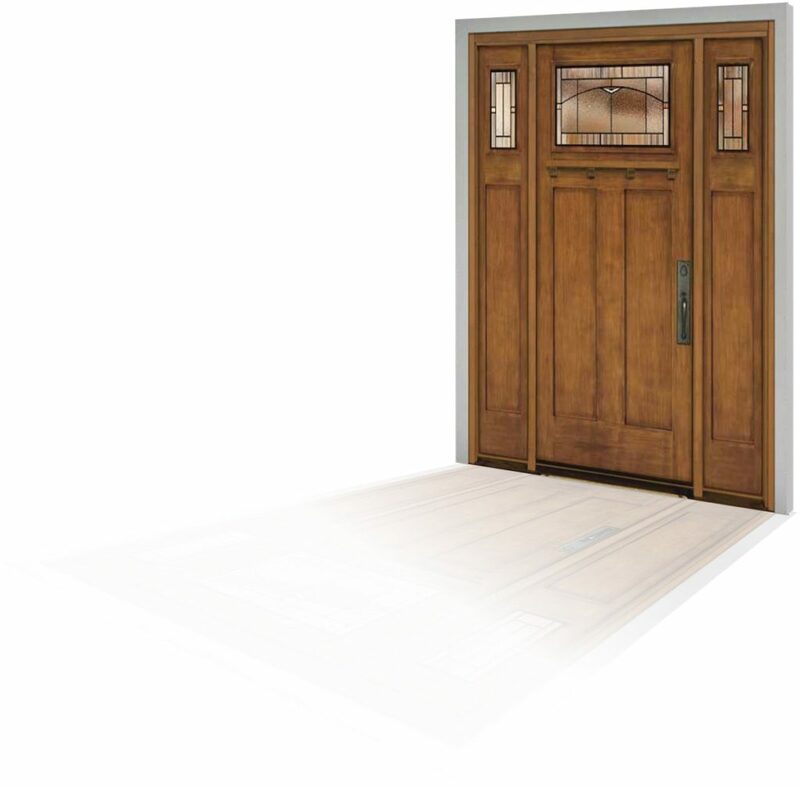 This 100% recyclable product is a cost effective, low-maintenance alternative to solid wood exterior door frames. FrameSaver Door Frames are simply the best wood frames on the market. Backed by a fully-transferable warranty, FrameSaver delivers the performance of composite and the strength of wood in one innovative solution. Rot Proof. Backed for Life. FrameSaver never absorbs water, rots, cracks or warps, and is backed by the industry’s strongest warranty. Backed by the industry’s only fully-transferable lifetime warranty for endless coverage and peace of mind. Composite bottom delivers superior protection from water, while finishing and painting just like wood. Finger-jointed construction creates a perfect fit and enhances structural integrity of the frame.